In a recent article on Foreign Policy, Jeffrey Herbst pointed out that the United Nations is not living up to its basic values: freedom of speech, freedom of religion, freedom from want and freedom from fear. He also criticized the lack of democracy in the organization and particularly among its member states. He also mentioned that the UN provides international legitimacy to dictators that have no legitimacy at home. But Jeffrey Herbst also forgets to point out the following: The UN cannot function on its own. It needs its member states to act. Even though the UN publicized and tried to address the atrocities in Darfur, its member states failed to act. The real question is: Why do member states not act? And the answer is simple: Democracy. Democracy does not only mean having a democratic political system, it also means accepting that the international system is democratic, for better or worse, following the “one country one vote” principle. Some western countries wish they still had the same power as they had when the UN was created after of the Second World War, at a time when their former colonies followed their lead on almost every issue. Now this time is over and the ‘neo-colonialist’ approach no longer works. 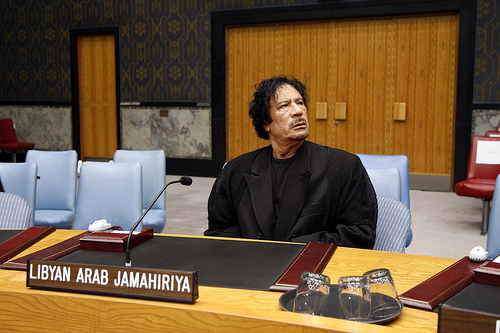 As an example of democracy in action at the international level, African countries are now able to elect a country like Libya to the Human Rights Council, because the continent has a comfortable amount of votes in almost every body of the UN. Now that the organization applies the “democratic” rules so praised by the founders of the United Nations, it is normal that every member state gets the same power and can have more or less the same impact on the UN, regardless of whether it is governed by a dictator like Mugabe or by a social democrat like Tarja Halonen. Indeed the presence of Libya in the Human Rights Council is representative of the willingness of a part of the world to have its word on Human Rights and some western leaders need to accept that not everyone is pursuing the same objectives or the same values as Europe and North America. They will certainly not simply acquiesce to those values or related demands without a fight. The time when the UN was a mere tool of US foreign policy, as its former UN Ambassador John Bolton saw it, is now well and truly over. Welcome to the new era of multilateralism. 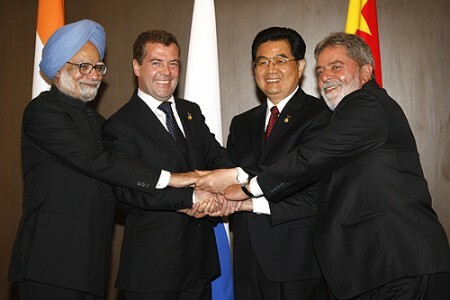 On 16 April, the BRIC nations (Brazil, Russia, India and China) will meet in Brasilia. The group has managed to develop a presence on the geopolitical stage in the past years and is increasingly able and willing to counter the influence of western power on various fronts. They share many characteristics and interest- primarily in the economic realm- and account for more than 40 percent of the world’s population and 25 percent of its land area. The four are also pushing for a more multilateral world and use BRIC as a vehicle to pursue this end. The international community and media have enthusiastically embraced this concept and often view or treat the group as a coherent political actor, granting it clout and weight on the international stage.